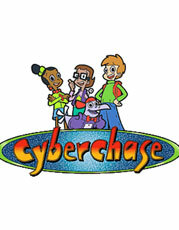 After being warped into Cyberspace from a library computer, Matt leads friends Jackie and Inez as Cybersquad. With live hosts Bianca and Harry, the team must protect Motherboard from the evil Hacker who wants to rule Cyberspace. Using gadgets and following clues, the team solves math mysteries and any other problem that comes their way.